There is nothing better than travelling and knowing you are being good to nature. 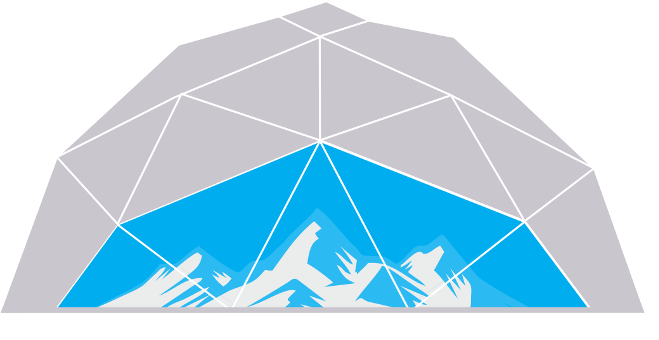 SNOWPOD aims to prove that hospitality and environmental conservation can coexist to create a unique and positive experience. The use of energy and water is controlled. The waste is recycled. Local and regional ingredients are purchased locally. A conscious effort is made so that nature is conserved in the pristine valley of chopta. At snowpod we support local farmers and artisans, thus the birth of organic vegetable garden. The staff is employed locally to promote employment in the region. The staff lives nearby and simply walk to work. By choosing SNOWPOD, guests play an active role in this ecological mission. We support fair trade practices. Each pod is equipped with a clay stove that provides warmth and comfort. The ergonomically geometric design of the pod ensures maximum internal space and the uniform distribution of air. The pods are fitted with biodigestors that convert the human waste matter into manure. Conscious use of goods/materials with biodegradable packaging is encouraged. Sorting of organic/non-organic waste is done. We use renewable energy in the form of solar and hydraulic power. Each of the unobtrusive pods is fully solar powered. Solar geysers are installed to provide comfort in an eco-friendly manner. Water conserving devices are used in the bathrooms. Water is sourced from the local springs. The pods blend in with nature because of their harmonious exterior of raised platforms and open walkways which minimizes disruption of the local fauna. Minimal lighting is used at night to not disturb animals. At snowpod we grow our own vegetables and herbs in the organic vegetable garden. The rest of the ingredients are sourced locally. We ensur e that all the goods are purchased directly from farmers at a fair price. Bed sheet , curtains and all the linen used in the pods are organic and sourced from naturally occurring fibres. We use 100% biodegradable cleaning products. Use of certified paper: printing paper, note pads, brochures, tissue packaging, toilet paper use of organic bed linen,curtains and rugs.